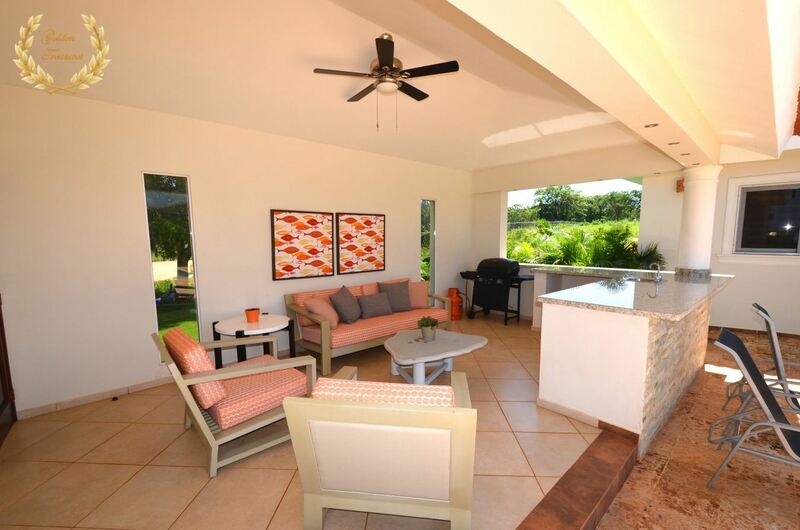 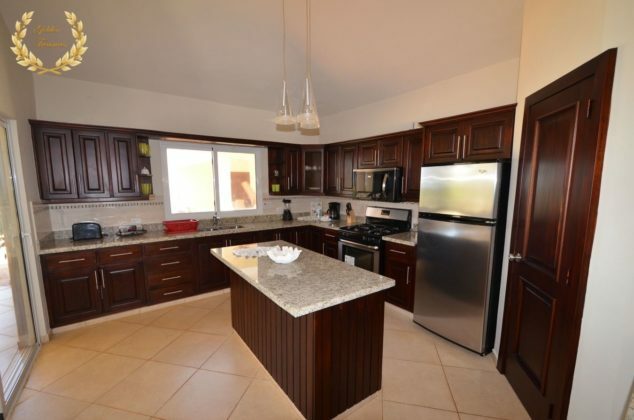 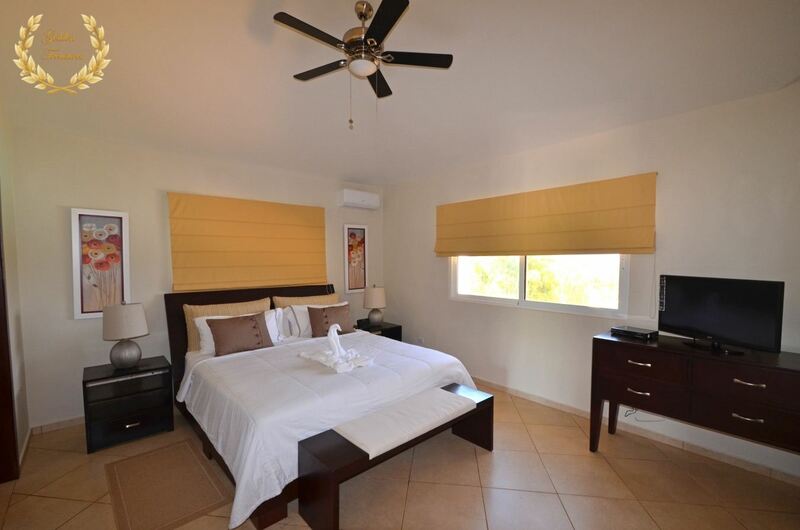 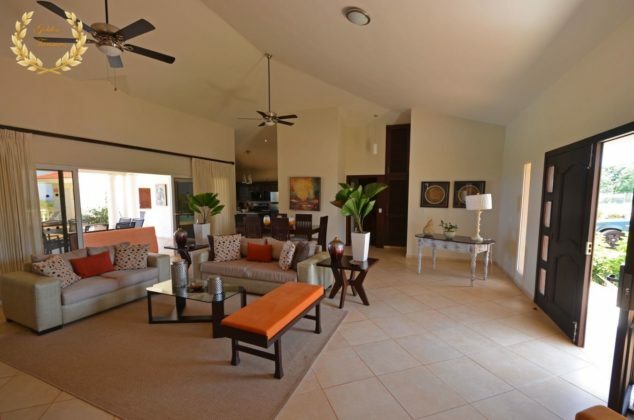 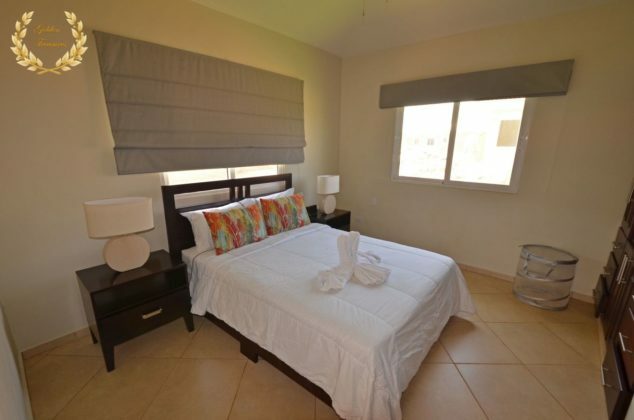 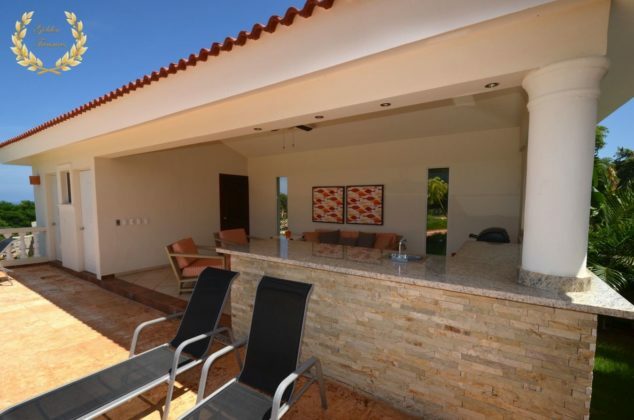 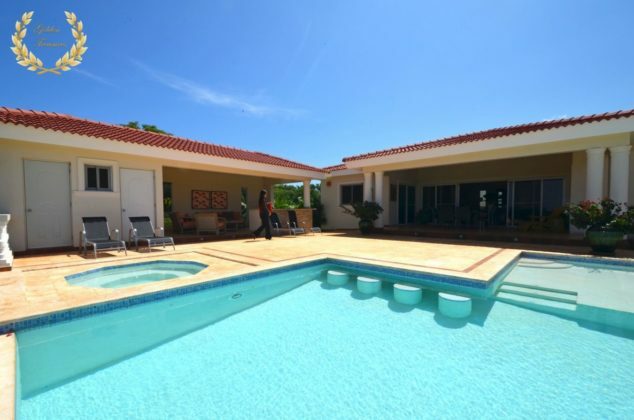 Combining a modern style with above standard amenities, this Three Bedroom Villa Sosua Dominican Republic Rental Home is a class of its own within the Ultima category. 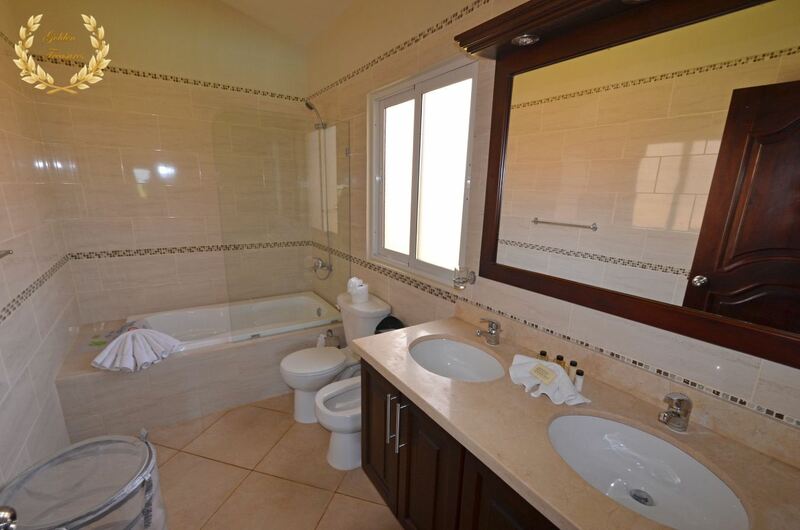 Its Balinese-inspired design shows off in the decor of the bedrooms, each of which features a deluxe bathroom. Ample interiors are standard also in the living room, kept cool even in hot temps by the tall ceiling configuration. The veranda has a main section with dining area for alfresco breakfast or late dinner by the pool, and a friends lounge with BBQ are and outdoor kitchen. 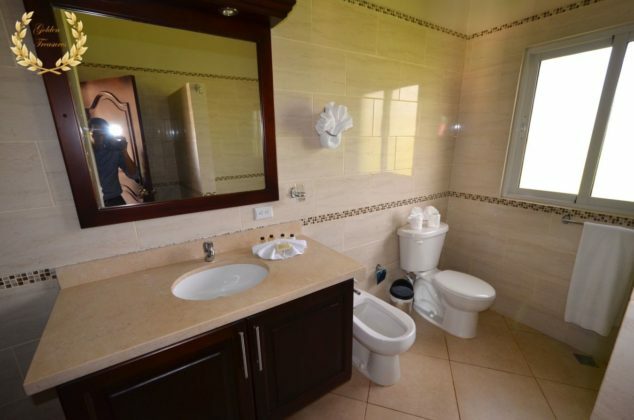 Daily maid service is included, also WiFi, security and optional private chef and driver with van. 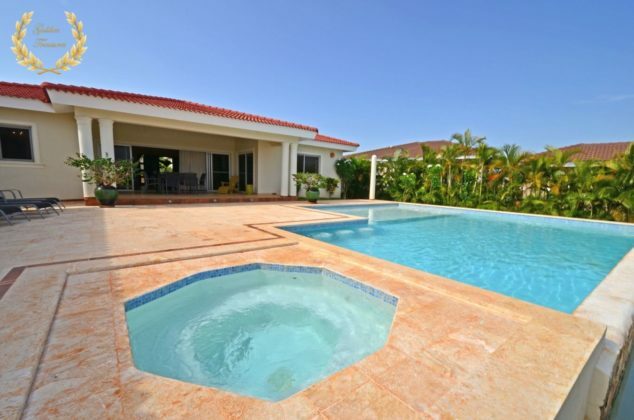 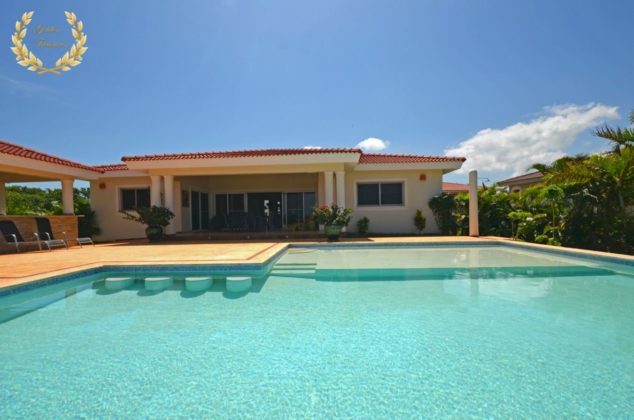 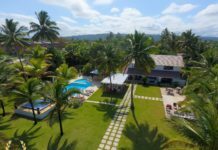 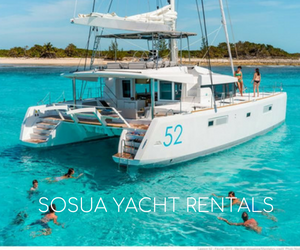 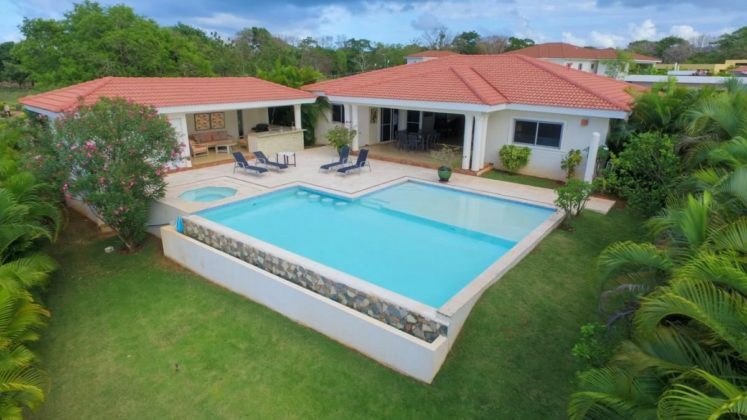 The Three Bedroom Villa Sosua Dominican Republic Rental Home sits on a gated community 5 mins away from POP airport, and the best beaches in Sosua. 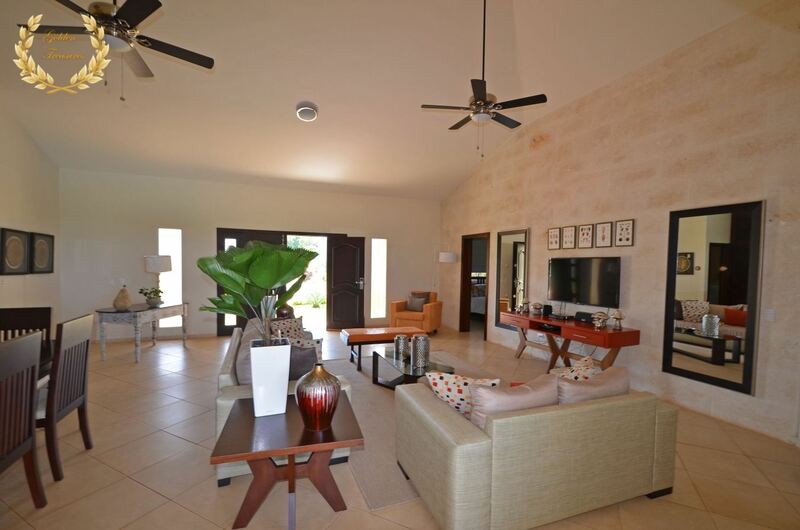 For larger groups, we can provide several villas next to each other, even for groups of 20 and 30 people.